Mooege was the only server emulator available for Diablo 3. It was developed when the closed beta was released to only family and friends. Now the Mooege project is closed and all the developers have left and abandoned the project. You can still pick up the source code at the GitHub repo. See the source code link below. 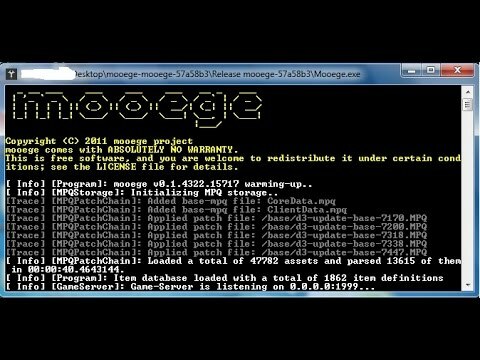 Here are some videos of when I would tinker with the different Mooege features. Please note, this only works on that this software only works with a specific version of the beta Diablo 3. PLEASE NOTE: To my knowledge this is a clean beta client, but you will be using it at your own risk as I found this online and cleaned it up as much as I could.